Two used shipping containers arrived on-site in October 2014. One was provided to be used as a shop by the Patch Allotment Association (PAA). Previously an old wooden hut on-site had acted as the PAA meeting room, tea-room and shop. The shop can now hold more goods more securely, and the hut has more space for meetings and socialisation. 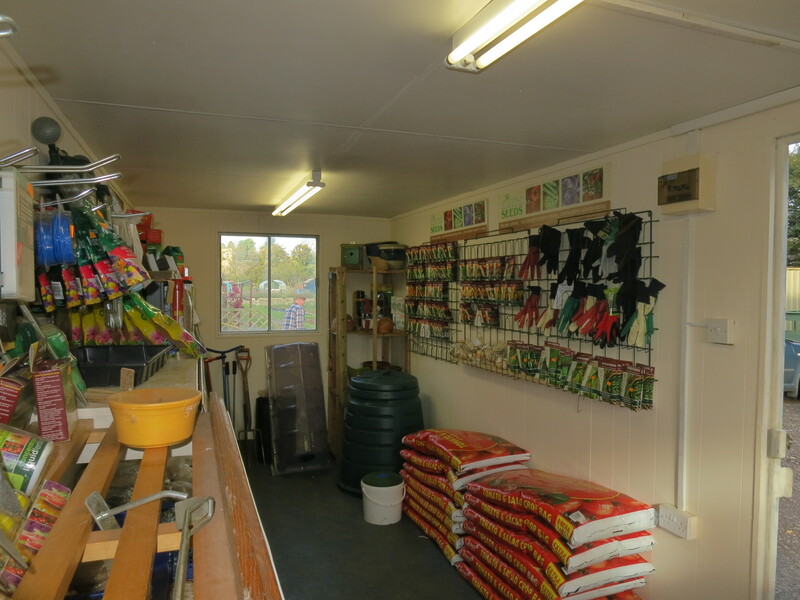 The second container was provided to the Patch Allotment Association to securely hold an increasing amount of allotment machinery, spares and workshop space. This picture shows the interior of the shop after renovation by the PAA.